Like British Prime Minister David Cameron, Larry Summers sees warning lights flashing on the world’s economic dashboard. Summers, who served through 2010 as President Obama’s top economic adviser and was Treasury Secretary under Bill Clinton, said America should be acting now to shore up its economy, instead of celebrating its status as the healthiest patient in the global economic sick ward. For starters, Summers said in an interview Tuesday: We should invest in public infrastructure, including energy infrastructure. Including oil pipelines. Does that include the Keystone XL oil sands pipeline, a project that the Senate is voting on Tuesday — and one that has drawn little enthusiasm from the White House? 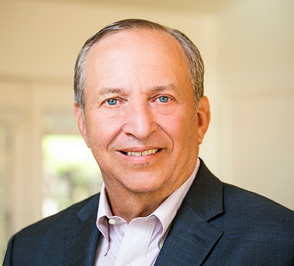 “What we need is a focused a growth strategy that recognizes the importance of generating healthy demand rather than a strategy that either accepts the lack of demand or tries to generate demand by driving down interest rates beyond extraordinary lows,” Summers said. For at least a year — long before Cameron warned of another looming economic disaster in Monday’s Guardian newspaper — Summers has been ringing alarm bells about the need for national governments, including the U.S. government, to prop up demand and stimulate economic activity. With Europe stagnant, China cooling and Japan, Russia and Brazil dogged by recession, Summers — who removed himself from the running for Federal Reserve chairman last year — argues that we should forget about the national debt and start taking advantage of abnormally low interest rates to borrow and spend on worthwhile investments that will boost growth now and in the future. That idea is unlikely to gain much traction on Capitol Hill, where resurgent Republicans are still focused on cutting spending. But Summers says we should be doing other things, too, such as promoting immigration and overhauling the business tax code, ideas with bipartisan support.